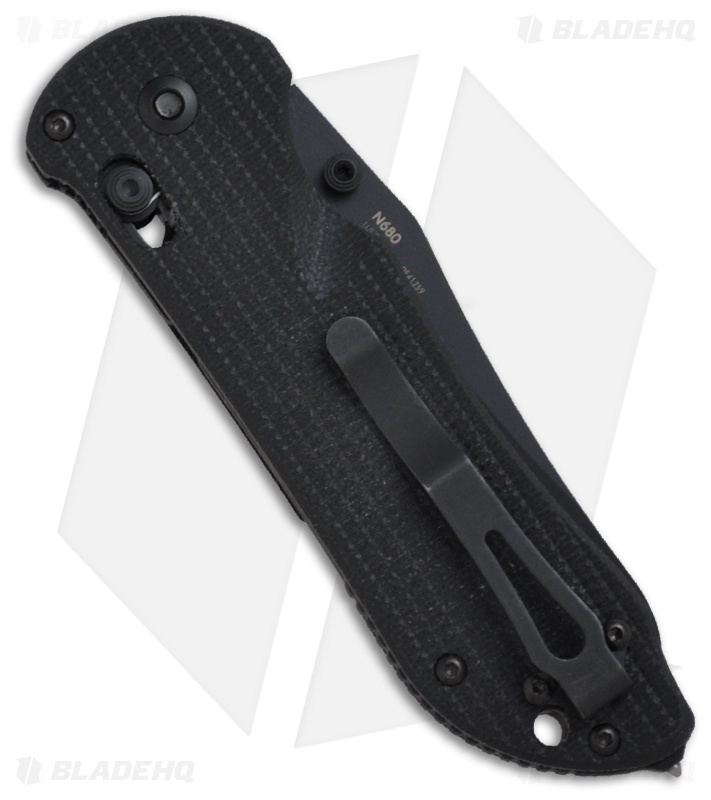 Benchmade's Triage knife combines their popular AXIS lock with a folding strap cutter safety hook and a glass breaker tip to create the ultimate triple utility tool. 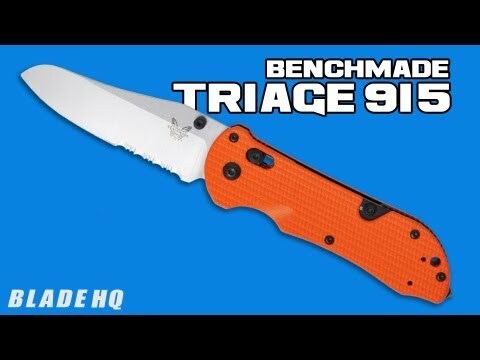 The 915 Triage folder features a modified sheepsfoot blade. The 440C hook-shaped safety cutter conceals in the spine of the handle and opens with smooth operation via the low profile thumb stud. Includes textured G-10 handles with stainless steel liners. 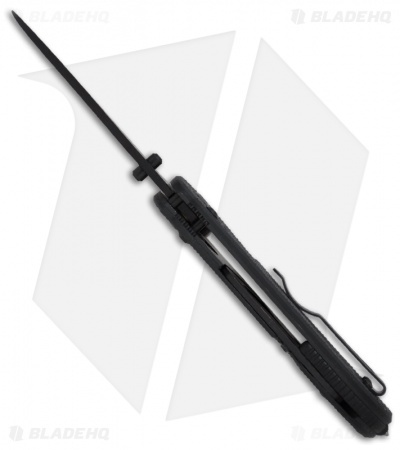 Deep reversible tip-up carry pocket clip and carbide glass breaker complete the package. 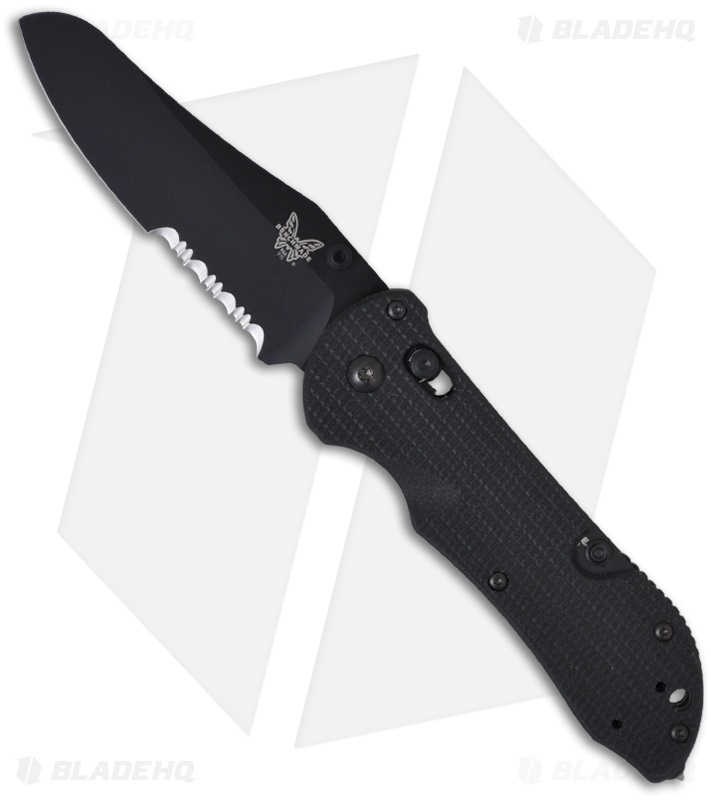 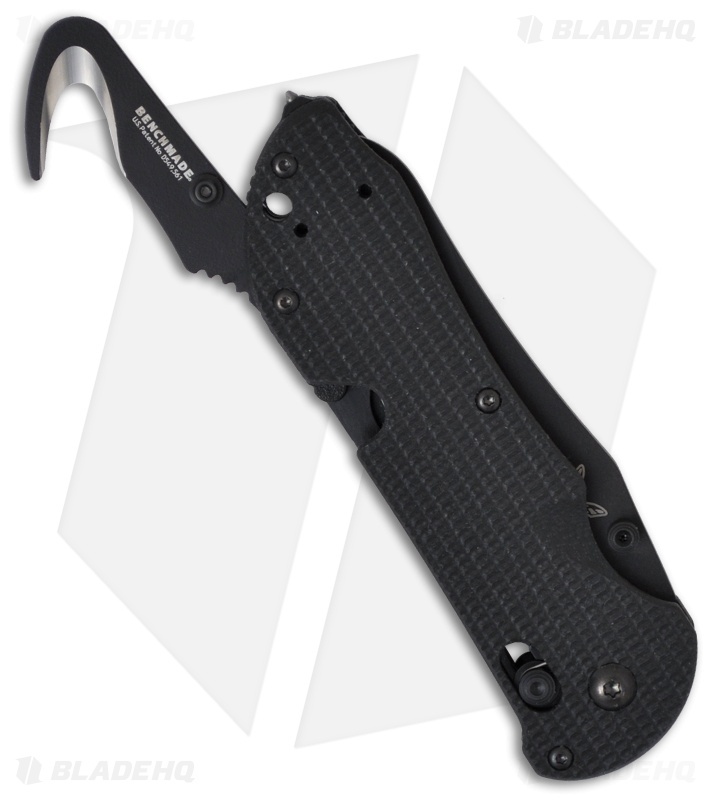 This Triage 915SBK model has a black finished blade with a partially serrated edge and a black G-10 handle.